The entire After Class squad was back in the studio this week. 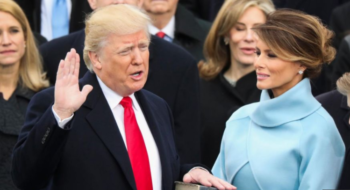 There was a lot to talk about, yet not much; it was a lot of the same stuff that spread over the course of several days (like the fog that loomed after the Trump inauguration). Speaking of, let’s start with that. The President (who has only been in office for three full days) has openly revoked the Trans-Pacific Partnership, which is one of former president Barack Obama’s signature initiative, joining together twelve nations in total. 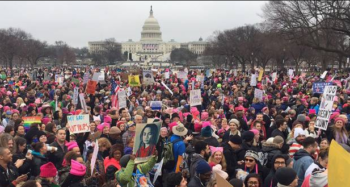 In protest of President Donald Trump, millions of women (and also men) around the world joined in the #womensmarch in support of pro-choice and in peaceful protest of Trump’s anti-abortion agenda. Although it is a tricky subject, all three of us agree that having a child should be a choice for both men and women. Men have a right and responsibility to parent, and women have the right of responsibility of those same things, plus successfully giving birth. It calls into question the choices that people have, particularly victims of sexual assault. In more local and slightly less serious news, Beta Nightclub has officially closed its doors. No word yet on what is to become of the old theatre turned one of the best clubs in the world turned… relic? Although we feel for those who were stakeholders (i.e. owners, employees), we can’t say we’ll miss the place.